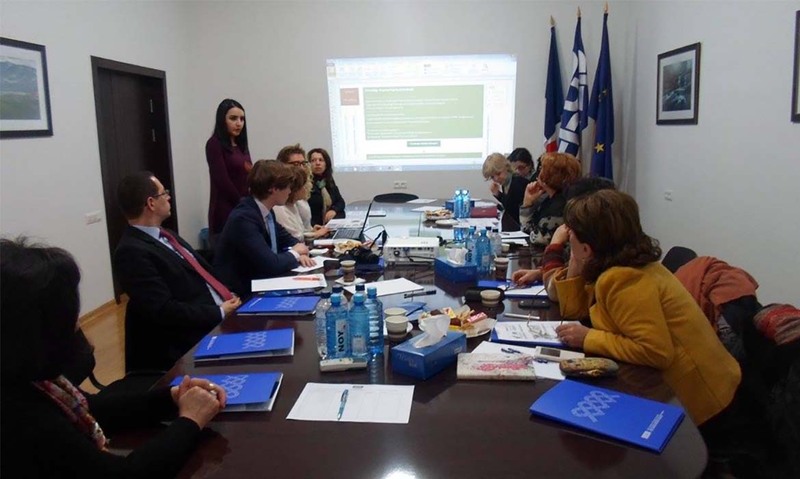 Overall objective: To promote the rights of children with behavioral and social problems by developing educational and rehabilitation services in Armenia. Target groups: The children with social and behavioral problems and their families. To reinforce the capacities of specialists working in the field by forming a team of methodologists able to act not only as service providers but also trainers and methodologists, thus contributing to the development of methodological resource center. To ensure qualified educational and rehabilitation services for children with behavioral problems by working out and adapting rehabilitation mechanism and methodologies. To promote the integration of children at risk in their native societies and public schools, by ensuring qualified specialist in educational, rehabilitation and integration services at community level. The project will strengthen and reinforce the civil society and existing Child Rights protection institutions to become an effective force for defence of Child Rights. The project activities which are aimed at protection of the Human Rights of the vulnerable groups contribute to the inclusiveness of the society by initiating a dialogue and bridge between the wide range of state and stakeholders for experience and analyzing the situation related with the children having social and behavioral problems and their families in Armenia. The project will be linked with the existing integrated social services, rehabilitation centers, day/night care and protection institutions and alternative juvenile justice projects. The worked out referral mechanism will link all existing state, community and non-governmental structures and provide an effective cooperation model. 100 professionals from 10 regions increased their capacities in prevention and rehabilitation of behavioral problems among adolescents. Toolkit for the assessment, designing, intervention and reporting of behavioral problems among adolescents are developed, tested and put in use. A room dedicated for the resource center’s activities is renovated and equipped within the Special educational complex #1. The number of children of the Special Educational Complex is decreased. The project will not only concentrate its efforts on reinforcement of capacities of the future Resource Centre but also will emphasize the work with the families for preventive purposes. The project is funded by Association Arménienne d’Aide Sociale (France) and co-funded by Saint Sarkis Charity Trust.